William Coram came from a family that originated in the west of Ireland. Born in Stafford in 1895, he died in France at the end of the Great War after over three years of service on the Western Front. His family was by then well-established in Stafford and it forms an interesting example of the generational transition from new immigrants to integrated residents. William Coram’s grandfather Michael was born in Ireland around the year 1844. He almost certainly came from Connacht, probably Co. Galway, and he seems to have come to the Stafford area around 1860. In the 1861 census a Michael ‘Corron’ was a farm labourer sleeping in a barn at Acton Trussel and this man and Michael Coram were almost certainly one and the same. The first definite record we have of Michael in Stafford was his marriage to Mary Scott at St Austin’s Church in 1861. She was one of three sisters from Co. Galway who settled in Stafford around the same time. The new Coram household lived initially in Gaol Road but later moved to the Broad Eye. Michael left the land and worked as a labourer in the building trade. They were poor and, like many Victorian families, the Corams had to take in lodgers to make more money. Mary made more by working as a charwoman in the midst of her numerous pregnancies. The couple had at least eleven children, but death continually stalked the Coram household. Eight of their children died in infancy and only Annie (b. 1864), John (b. 1867) and Agnes (b 1878) survived to adulthood. In 1878 Michael Coram himself died at the age of 34 and Mary was left to bring up her surviving children in poverty. She later remarried but died in 1902. Michael and Mary’s only surviving son John worked as a paste fitter in the shoe trade. He began the process of intermarriage into local society because, in 1890, he married a young widow, Elizabeth Jackson née Harvey. She had been born in Haughton around 1867. The family remained in the Broad Eye and had four surviving children, although their son Michael died in 1913 at the age of 20. His father John died the same year and his mother a year later, so the curse of early death continued to stalk the Coram households. John and Mary’s son William Coram was also to die young. In 1915 he married Kate Clews, the daughter of a local gardener, and the couple had two children. Prior to that, in 1913, William had enlisted in the Territorials, so it seems that he was already attracted by army life and money before the war. It was a classic route out of poverty for under-qualified men. He was attached to the North Staffordshire Regiment and after the outbreak of the Great War was sent to France in April 1915. He was shot twice in the left arm at the battle of Loos in October 1915 but rejoined his unit at Christmas 1915. It was reported that ‘On several occasions he [showed] great courage and devotion to duty’, in particular in the heavy fighting and mining near Hill 60 near Ypres in 1916. Later that year he was a sentry guarding an ammunition dump. The rest of his guard was killed and his sentry-box was blown up but Coram stuck to his post until ordered to leave. He was awarded the Military Medal for these exploits and received considerable local publicity. William Coram was one of the sad sacrifices of the Great War. Despite his wounds He remained on the Western Front. In August 1917 he briefly came back to Stafford on leave and visited his old school, St Austin’s. There he was presented with ‘a handsome silver wristlet watch and a large box of cigarettes’ by the parish priest. He told the children ‘he could not protect them against air raids, but he could do his best against the Germans’, and he returned to the trenches yet again to do just that. He was gassed in May 1918 and wounded again in October 1918. After nearly four years of war his body could take no more and he was an almost inevitable victim of the terrible Spanish ‘flu epidemic. He died in Boulogne at the end of October 1918, two weeks before the Armistice. William Coram’s Military Medal, and his death after fighting for Britain in the Great War, exemplify starkly the extent to which many descendants of Stafford’s Irish in-migrants had become part of the local community by the early 20th century. The Coram family experienced many of the rigours of Irish families in Britain. The initial immigrants worked in menial, insecure and poorly paid jobs and they lived in slum cottages in the poorest parts of town. Conditions were hard, but the family and its descendants seem to have lived quiet lives struggling to bring up their surviving children. The second and later generations moved into the heart of the Stafford economy, the shoe trade, but the work was hard, insecure and often unhealthy. The infant and young adult deaths that plagued the family reflected the poor conditions in which they lived. 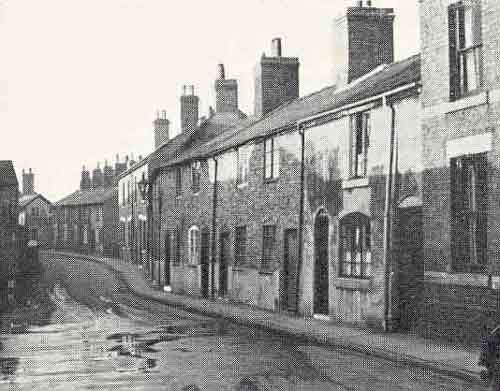 Nevertheless, by the early 20th century the Corams had put down deep roots in Stafford. 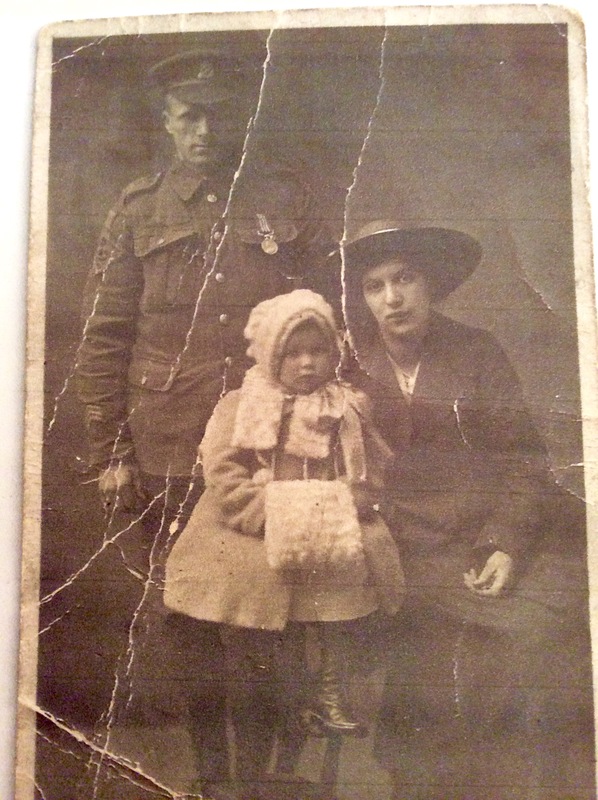 WO363, British Army Service Records, 1914-1920, Find My Past database, accessed 11 May 2015.